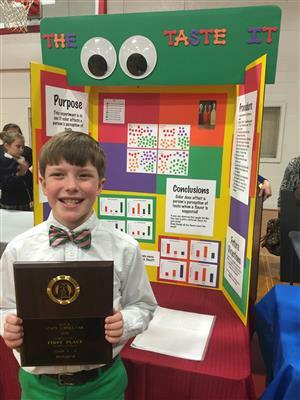 Macon East held its annual Science Fair in early February. Each student in grades 4-6 submitted a research paper, project board, and experiment in either the biological or physical science categories. First place winners, Jameson Byrom, Gavin Justice, Trey Matthews, Kacy Rutland, Parker Strickland, and Lucy Taylor advanced to the AISA District fair at Chattahoochee Valley Community College. 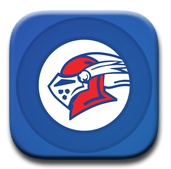 Four Macon East students received medals at district and advanced to the state competition. The AISA State Science Fair took place February 25 at Huntingdon College. Each participant stood nervously with their project and gave an oral presentation to the judges. Macon East was proud to receive the first place award in both the biological and physical science categories. Jameson Byrom’s entry “The Eyes Taste It,” proved how the color of food affects a person’s perception of taste and was the overall 1st place winner in the biological category. 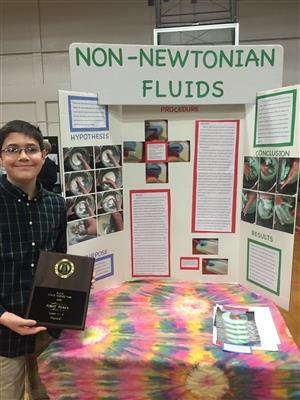 Taking 1st place in physical science, sixth grader Trey Matthews’ project “Non-Newtonian Fluids” proved how non-Newtonian fluids change viscosity when a force is applied. We are extremely proud of all the students who participated in this year’s science fair, and honored to have both 1st place state winners at MEA.